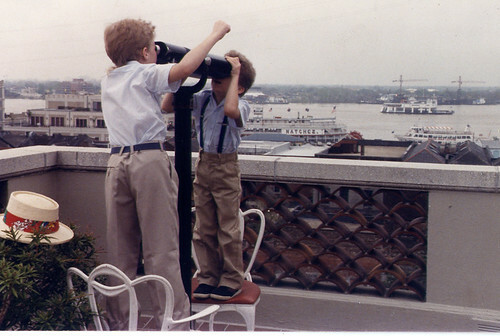 My mom just sent me this picture of my brother and me from when we were kids. We used to go to New Orleans every year, and the Easter bunny always managed to find us. Notice who's looking through the right end. That's a fabulous photo. I'm not sure how the easter bunny managed back then without his GPS navigation!